When the summer began, Colby and Bev were best friends, just as they had been since they were 9. Just as Colby thought they always would be. But this summer, everything changes. Immediately after their high school graduation, Bev, Colby, and their friends Meg and Alexa pack up Colby's uncle's turquoise VW bus - affectionately named Melinda - and head out on tour. 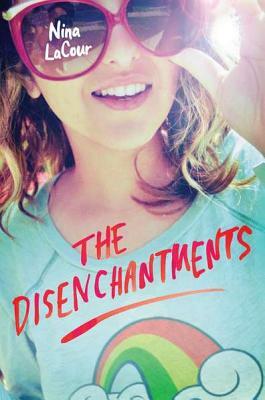 The girls are a band, The Disenchantments; Colby is their driver, roadie, publicist, and number one fan. He's truly happy to support his friends, even though he knows they are terrible musicians. After the band's summer shows, they will travel to different corners of the world: Meg will head off to college, Alexa will return home for her senior year of high school, and Bev and Colby will visit all the places they've talked about, all the countries they've only seen in books and on computer screens, all the photographs coming to life around them. Bev and Colby have been planning a post-high-school trip through Europe since they were kids. Except now the trip isn't going to happen, because Bev's decided not to go - and refuses to tell Colby why. August Pullman has a face that only a mother could love, only his mother to be exact. The main character of R.J. Palacio's book Wonder has an extra large forehead. His eyes are much lower than they should be. His mouth always hangs open and his ears are underdeveloped and cauliflower-shaped. What people do not know when they look at August is that they are seeing a very smart, funny, and capable young man. Mom homeschools me. She used to be a children's-book illustrator. She draws really great fairies and mermaids. Her boy stuff isn't so hot, though. She once tried to draw me a Darth Vader, but it ended up looking like some weird mushroom-shaped robot. The very fact that he has made it to ten years old is a medical miracle, thanks to many operations and a lot of determination from Auggie and his family. He is about to face is biggest challenge yet, going to a school with other kids his age. I love crime dramas and I love period literature, and this book was an excellent blending of the genres. If I had any sort of focus (seriously, a girl almost sets her high school [and college] chem labs on fire and it wipes out an entire career path) and a cast iron stomach, I think I'd be a forensic scientist. But I am so over the flashy, techy forensics we get on modern television. I first became interested in the early days of forensics after watching the Canadian series The Murdoch Mysteries. And then, when I heard about Blum's book, I knew it would be the perfect bedtime reading. Blum's book is divided into chapters that highlight a different chemical that will kill us. 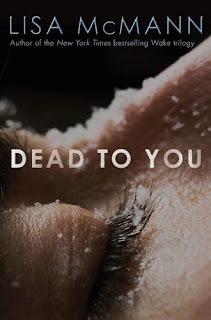 She starts with chloroform (CHCl3) and a serial killer, and throughout the book, tells the story of chief medical examiner Charles Norris and toxicologist Alexander Gettler and their pioneering work in forensic medicine. What I loved about this book is the way Blum weaves science and history together with the pace and tone of a noir thriller. What I did not love, but appreciated nonetheless, was the sometimes gruesome descriptions of autopsies and the really rather horrible ways things like radium (Ra) and mercury (Hg) kill you. She also weaves in some of the history of Prohibition and the really crazy, stupid things people would do to get their buzz on in the wake of the law, including drinking wood alcohol (CH3OH), which, if it doesn't kill you outright, will likely blind you. Blum gives enough of the science of how these toxins work to make you feel like you're really learning something and enough of the gritty, true drama to make you glad that you didn't live in the early 1900s. Although it did make me wonder just what we ingest now that, seventy years down the road, our descendants will marvel that anyone could be so stupid. And, if anyone is concerned about the recent news about kids drinking alcohol from hand sanitizer (ethyl alcohol), I suggest you all read and pay particular attention to chapter 9. Killer opening, right? And, for the most part, what follows lives up to the promising start. Which is saying something, since the book is nearly 500 pages long. 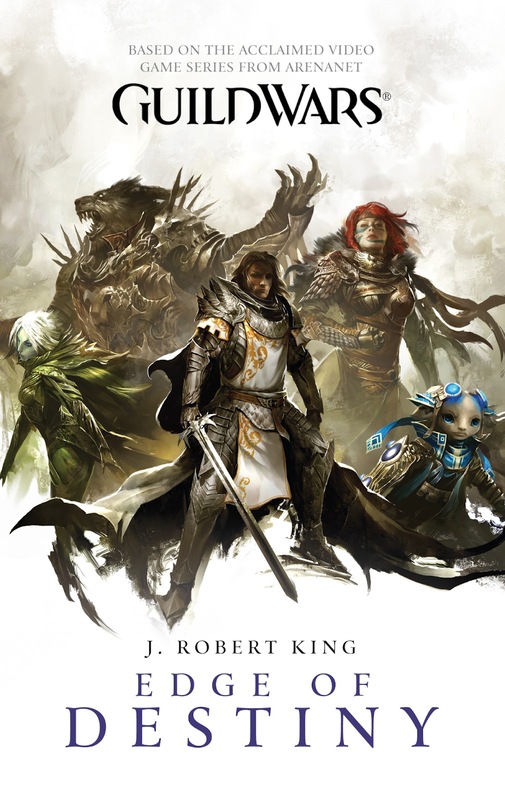 Guild Wars: Edge of Destiny, by J. Robert King, is the second book in the Guild Wars 2 series. If you're not anticipating the release of that game, worry not; it's still a great book for any fan of fantasy worlds. This story actually takes place before the first book in the series, but as the stories feature different characters that's okay. And getting to read about this particular group makes it even more special. The steampunk influence is everywhere in science fiction and fantasy these days, and why shouldn't it be? The whole aesthetic is pretty cool--leather and copper and brass and exposed gears, tough yet elegant, retro yet edgy. I'm all for it. But if you actually read the steampunk influenced literature, there's something more going on than just fashion. For one thing, writers of steampunk really get into language. The language of nineteenth century technology--"cog," "coil," "spring," "clockwork"--is so much more interesting, physical, guttural than the antiseptic language of twenty-first century technology--"quantum," "byte," "field," "tachyon." Steampunk allows writers to get poetic when writing about technology. Steampunk is about the origins of technology, the mythology of how our relationship with machines originally formed. ETA: The book fair ends at midnight PST, May 1st. Thank you!!! Longtime readers will know that this time of year we here at GLW get to thinking about how we can help school libraries across the country build up their shelves. Last year we watched the video from Melissa Jackson, librarian at Ballou Sr High School in Washington DC and we knew we had to help. 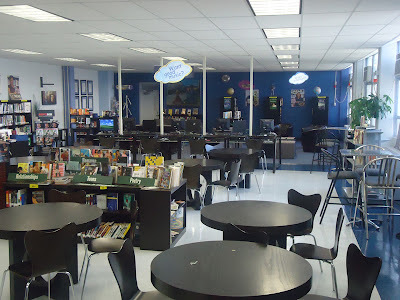 Between our spring book fair and a small holiday fair last November we have helped Ballou move from a library that had less than one book for each of its 1,200 students at the beginning of 2011 to a ratio now of two books per student. 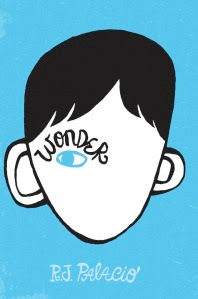 While this is an impressive achievement and something we are quite proud of, the American Library Association advocates ELEVEN books for each student. It's obvious that Ballou is still operating at a serious literary deficit and because of that we have decided to commit ourselves to the long haul and stay with this school library until they have everything they need. A few things have changed at Ballou since the video was made last year. Not only did some much needed books come their way but the bankruptcy of Borders allowed the school to purchase some shelves and other fixtures to dress up their library space. (Those category signs in the above picture probably look really familiar to former Borders customers.) While the area looks fantastic, and the space is being used for an anime club and chess club and scrabble team and many other wonderful groups, the shelves are still way too empty. What we hope to do this spring is give Melissa some breathing room and allow her to use her very limited funds for more expensive reference materials while we pick up the slack and buy the popular titles. In that vein you will see that our Powells Wish List for Ballou (Here's the link if you want to embed it in a post: http://bit.ly/GLWBookFair) has a lot of manga, urban fiction, poetry, paranormal titles and a boatload of big sellers. (John Green, Holly Black, Cassandra Clare, Kristin Cashore and Paolo Bacigalupi are all front and center.) As a big fan of nonfiction I'm delighted to see books like Eating Mud Crabs in Kandahar, Engineers (from DK Press) and Generation V: The Complete Guide to Going, Being and Staying Vegan as a Teenager on the list and there is also a healthy collection of adult crossover titles like The Book of Jonas, Clementine (Cherie Priest) and The Intuitionist (by Colson Whitehead). There is also a lot of urban fiction, as requested by the students, and since Melissa is working with a reading population that varies in literacy levels from 5th grade to college prep, we have liberally mined the resources of Saddleback publishing to discover books with older teen appeal but manageable reading levels. As we have done in the past, Melissa vets the list from top to bottom and everything - every single book - is one that her students want and need. Powells is hosting it as part of our ongoing effort to support independent bookstores and everyone is welcome to spread the word as far and wide as possible. We want to sellout guys, and we can't do it without a lot of help. You can check out the list, make your selections for the school and please know while we prefer new it is perfectly fine to purchase used copies of a book (more bang for your buck). But check and make sure the book is in “standard” used condition and not “student owned” (you will have to click on the title and leave the wish list to check this). The “student owned” copies are very cheap for a reason - they are written in and thus not a good choice for this effort. After that you buy the books and you’re done! Please head back over here when you get a chance though and leave a comment letting us know who you are, where you’re from and what you bought. Also be sure to follow @BallouLibrary on twitter where Melissa will be updating on books as they arrive and student reactions. You can also let her know what you have ordered - I'm sure she will be delighted to let the kids know what's coming their way. As always, we here at GLW thank you from the bottom of our hearts for helping us in this effort. The book fair is one of the best examples of what we all believe in - getting as many books as possible into the hands of kids who need them. Please understand that for all of us and Melissa, this is not just about buying books but showing the students at Ballou that they matter and that to a lot of us out here in the world, far from Washington DC, they are very important indeed. Buy a book, send a tweet, post on your blog or at facebook. Comment here and tell us what you've sent and where you are so we can celebrate the moment with you. Change the world today and over the next two weeks because you can. And don't forget how much we appreciate you for helping us make the book fair so successful. Brandon Mull's second novel in the Beyonders series takes some cues from classic second acts like J.R.R Tolkien's The Two Towers and George Lucas' The Empire Strikes Back. In the opener, A World Without Heroes, Jason and Rachel accidentally travel from our world to Lyrian. Lyrian has been under control from the powerful Maldor, who had incapacitated all of the world's former heroes in different, yet devastating ways. When 13-year old Jason enters Lyrian he learns part of a magical word which is the only thing that can destroy Maldor. Jason meets another Beyonder in Rachel and they scour the country finding parts of the word in the most dangerous corners of Lyrian. The word itself, however, has secrets of its own, which moves us to the second book. Like in many great series, Mull takes time in the middle book to flesh out more characters, have them learn and grow, face new, awful tasks and get ready for the ultimate challenge. 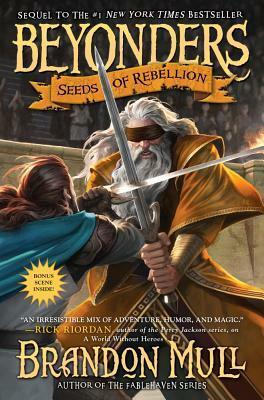 In Seeds of Rebellion, their full crew comes together with a cast of characters including a giant with a secret, a displacer who can remove body parts and a blind King. Jason is learning to be a warrior, while Rachel is learning a powerful, magical language that she is mastering to create fire and move objects. Their attempt to gather support to overthrow Maldor is making them a huge threat. Maldor has devastating armies and creatures that he is using with increasing intensity to thwart their plans. Despite the hardships, Jason and Rachel are determined to keep working against Maldor in hopes that they can also return home to their families. The joy for me in this book is the seemingly insurmountable odds that Mull keeps throwing at his heroes. I am a big sucker for that type of plot and the middle book/movie of any series, so I absolutely love this book. Mull is deft at sliding in philosophies and ideas into the story that creates a depth that not every kids or teen fantasy book has. Fans of books by Tolkien, David Eddings, Charlie Fletcher and Brandon Mull's Fablehaven series will enjoy Beyonders. 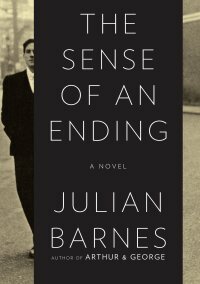 Last year’s Man Booker prize-winner, Julian Barnes’s The Sense of an Ending, manages to hit upon two trends that have been prevalent in the work of several past winners: a preoccupation with an omphaloskeptic reevaluation of personal history and the tendency to draw national allegory from this exercise. Kazuo Ishiguro and Ian McEwan have built careers exploring the inherent limitations of individual perception and the truth that lies somewhere in the collision of multiple perspectives. Barnes, much like Ishiguro, gives us an older narrator looking back over his school days. He recounts friends and relationships of his youth and how they soured, then traces back over the path to discover the gaps and misapprehensions and lies he had told himself. It’s a comment on memory as a form of narrative, twisted away from dry fact by misunderstanding, self-valorization, self-flagellation and the other contortions necessary to seek sense from within limitation. Okay, apparently there's a "rip" in the space-time continuum (a wormhole?) so a manga character, Ryoko, winds up in a western-style high-school drama. The most popular, beautiful girl in the school falls for him (and he for her). There's an angry ex-boyfriend to deal with, and strange beasts from the other side of the rip. What makes it all work so well is the blended artistry of writer Barry Lyga and illustrator Colleen Doran. They make magic together in this book - a fun story is complemented with manga and "standard" comic drawing. So if you like comics or manga, read Mangaman. And if you don't like comics or manga, this one might change your mind. Guys, the apparel industry is calling! Learn how to screen print! It seems like there's always one kid who's drawing when he should be taking notes, making logos and flyers for his friend's imaginary bands when he should be doing homework, having his talents "recognized" and getting roped into helping decorate some part of the school. Does this sound like the beginnings of a career in the fashion industry? No? What if we called it the the apparel industry, that vast market of clothing you see worn daily by friends, musicians, graffitists, baristas, hipsters and other assorted consumers? We're talking here about the fine art of the t-shirt. For any teen who's walked into an Urban Outfitters, seen the selection of $40 t-shirts, and thought to himself "I could do that." Guess what: you can! You can start small, start local, keep expenses low while building a true business, and perhaps become legendary within the industry before most of your friends even clear out of college. If you've got a good eye, a little bit of business hustle in you, and a copy of Thread's Not Dead: The Designer's Guide to the Apparel Industry you could be well on your way in no time. What if the war of the future takes place not in the deserts of the Middle East or in the mountains of Afghanistan or even in cyberspace, but rather inside your own head? A war for your thoughts, your memories, your very ability to think independently. A nanowar. Labels: Science Fiction , War - What Is It Good For? "Ethan was abducted from his front yard when he was just seven years old. Now, at sixteen, he has returned to his family. It's a miracle... at first. Then the tensions start to build. His reintroduction to his old life isn't going smoothly, and his family is tearing apart all over again. If only Ethan could remember something, anything, about his life before, he'd be able to put the pieces back together. It is no secret I love Lisa's books and this one is no exception. It's more of a contemporary than her other books; even though there's the "something unspeakable" in the summary, it's not paranormal-related. It was however an interesting twist though but it comes at the VERY end and it feels like a HUGE abrupt ending. I mean, I guess it's a good ending that doesn't necessarily need more, but it still feels like there should be more to it. But anyway, let's move on. Like all of Lisa's books, it's a real pageturner. 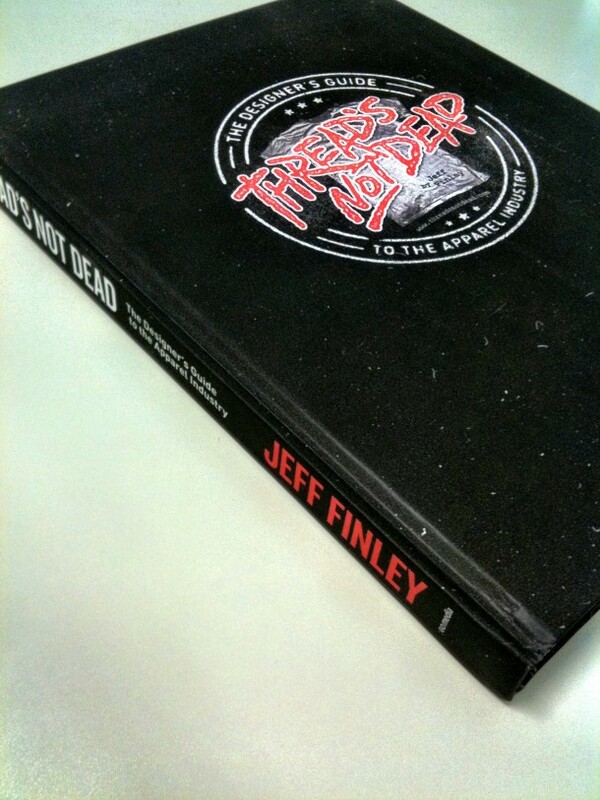 I read it in less than 24 hours and pretty much in just two sittings. Ethan's story and his adjustment back to his old life is just so real and interesting. The interactions between him and, well, everyone is fascinating and runs the gamut of emotions. His parents are relieved, his little brother is upset and dealing with a lot of emotions, his little sister who was born after he disappeared just accepts his appearance and is very innocent about it. Overall, it is a great new standalone title from Lisa, though the ending is a bit off. It's definitely worth a look though. When a galley of The Starboard Sea landed in the bookstore where I work, I gave the flap copy a quick once-over and set the book back down. 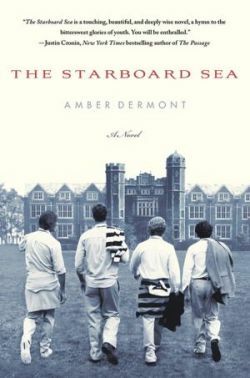 A novel about a young man at a boarding school in the 1980s who learns (to incongruously quote Alan Jackson) a lot about living and a little about love. Then something on the cover caught my eye—a blurb from Marilynne Robinson. And while hers may not necessarily be a name meaningful to GLW readers, it is to me: her novels Gilead and Home are among the finest published in the last decade (and I feel bad that I still haven’t read her earlier novel Housekeeping nor any of her nonfiction; note to self: rectify that), and she’s spent years teaching at the Iowa Writer’s Workshop. So hers is an opinion that I trust, and if she says that a book is good, there’s a good chance that it’ll be worth the time. And so it was that I took a second look at the novel, and that was a good idea. Aliens in Hollywood movies, and in most of the alien-related sci-fi reviewed on this site, are fairly easy to find. They might be trying to eat you for instance, or at least take over the planet, or they might be enemies or allies in some great space-opera war. At worst, very shy aliens might require a package of Reese's Pieces and the faith of a child to lure them out of hiding. But real aliens are much much harder to find. In fact they're so hard to find that they act like they don't exist at all. Confessions of an Alien Hunter by Seth Shostak, one of the leading scientists for SETI (the Search for Extraterrestrial Intelligence) presents the science behind trying to find another intelligent species out among the cosmos. So far, Shostak admits, in its search for evidence of aliens, SETI has come up with very little, or, to be more precise, absolutely nothing. Does that mean we should give up trying? Shostak doesn't think so. He describes the search for ET as an ancient one. The ancient Greeks, for instance, believed in intelligent species on distant worlds. The dream to contact a non-human culture is one that runs deep in the species, and the implications of a successful search would be profound.